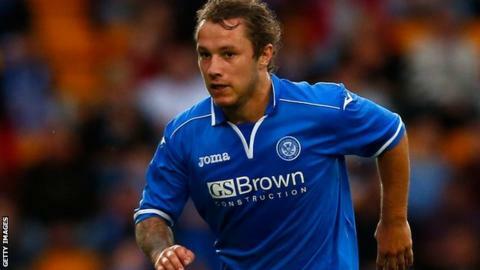 Rotherham boss Steve Evans has suggested the club's interest in St Johnstone striker Stevie May has come to an end because of the Scottish side's asking price. It was reported last week that the Millers had submitted a bid for the 21-year-old last week. May has scored 11 goals from 19 games so far this season. "We offered £300,000 and were quoted £800,000. That price is out of our range," Evans told BBC Radio Sheffield. "We left our offer on the table and asked them to get back to us and they haven't so I have to assume they value him at that amount. "People in football are only worth what people are willing to pay and St Johnstone are entitled to price him up as they see fit. "He has got a lot of attributes that I like and he's scored consistently over the last three seasons." Meanwhile, Rotherham sources have told BBC Scotland that there is no truth to reports suggesting they have bid for Inverness Caledonian Thistle striker Billy McKay. However, the League One outfit have watched the 25-year-old Northern Ireland international, whose 11 goals this season make him joint top scorer in the Scottish Premiership this season along with May. The Millers, who face Coventry on Tuesday, are currently 10th in League One, two points outside the play-offs.